We were asked by Open Reality to come up with a design for a new website. They provided a very tight brief which really did not give us much room for an overly creative solution. However, the end result, we felt, was worth of a place here on our blog. We like the simplicity of the 'tile' effect - a design route that works really well for modular responsive sites. Open Reality hope to have the site live in November - we are still working on the design and the format. Watch this space for more info..! If you have an old website or need some advice about your on-line presence please give us a call on 01332 291141 to find out how we can help improve your on line status. Getting plastered can improve your image! Innov8, a Manchester based software developer wanted to invite a select number of prospects to two events, one in London and one in Manchester. The key issue was how Innov8's unique solution can help a business solve a tricky problem. By helping them to solve it rather than patch it up Parkhouse Evans developed this simple low cost direct mail invitation to both events. We used real sticking plasters on the front of the mailers - this added a low cost but tactile value to the mailers. The mailers were sent out and followed up by a call out managed by CPB. If you have an event you want to promote or if you need to communicate a specific message, then give us a call on 01332 291141 and we will help you. When Arrow ECS Marketing asked us for a newsletter that would really create a big noise, we took her quite literally. This clever direct mail newsletter contains a cunning hidden sound chip which, when opened plays the sound of a V8 engine starting up and revving! "We wanted a memorable and quirky direct mail piece to send to a very specific number of RSA partners and we wanted to create an impact" commented Maria Ferrara, Arrow ECS Marketing Manager for RSA. "Parkhouse Evans came up with this unique sized DM piece and we have enjoyed a really good response from our customers". Developing this DM piece involved a number of factors - as well as a specific budget. We were pleased to deliver a memorable piece, which has great recall value. We love those 'before and after' pictures. So, we thought, why not demonstrate how some simple design can enhance and improve an organisations image. 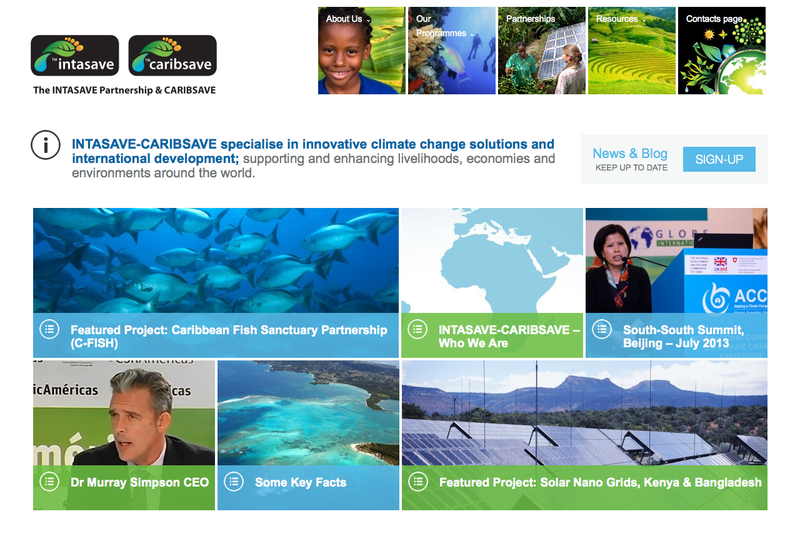 Our challenge with Intasave and Caribsave was to combine both old sites into one modern responsive site - suitable to work on mobile devices and portable pads etc. This new site has been built to enable Intasave staff to be able to update and modify the site themselves. By using the Wordpress application, the site uses a range of plug ins to also help with SEO, image and post placement as well as simple text changes. The site is due to launch in September 2013. 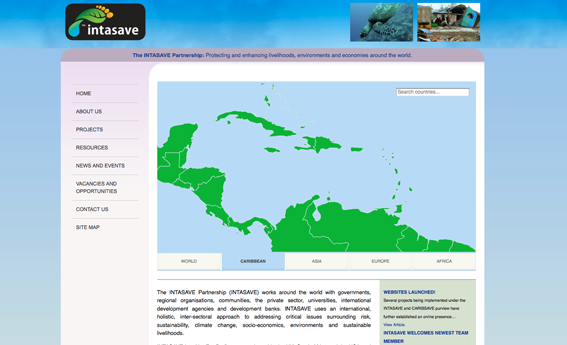 The site will help Intasave-Caribsave to further enhance its credibility and also extend its reach to new funding opportunities across the globe.